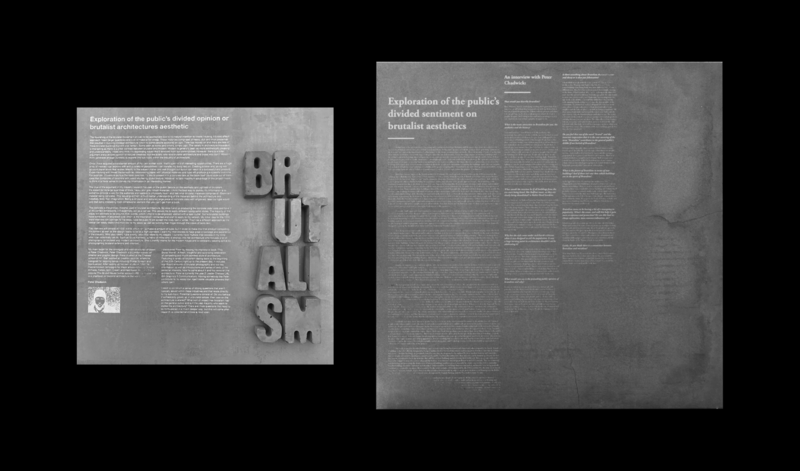 This project aimed to explore the public’s sentimental dichotomy surrounding Brutalist aesthetic. It’s notorious for being one of the most controversial forms of architecture and Jack wanted to investigate these views. To further develop my understanding of Brutalism he interviewed Peter Chadwick, author of “This Brutal World” for a professional insight and opinion. A transcript of this interview, would later be silkscreened on a concrete slate to amalgamate critical understanding of Brutalism with the product itself. 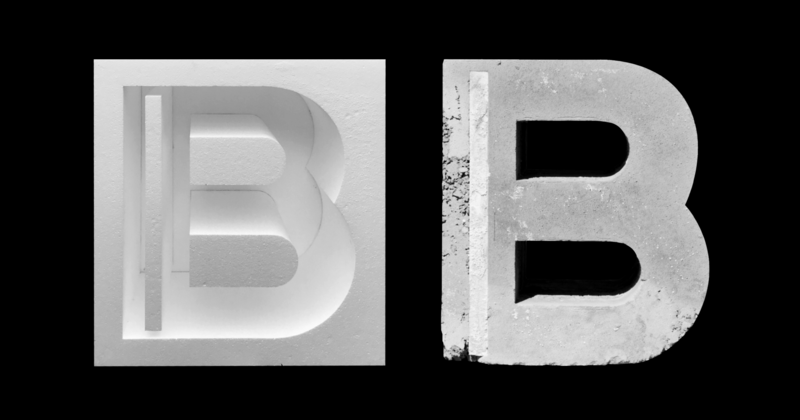 Jack formed a large concrete letter B in order to represent the crude and abrupt style of Brutalist architecture through both it’s literal material, shape and texture. 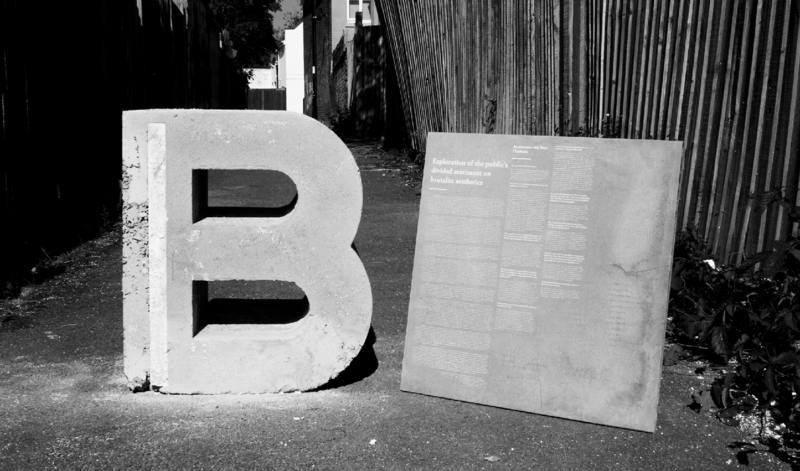 At 300kg and standing at 634 x 460mm high, the shape gave off an imposing and stoic impression. 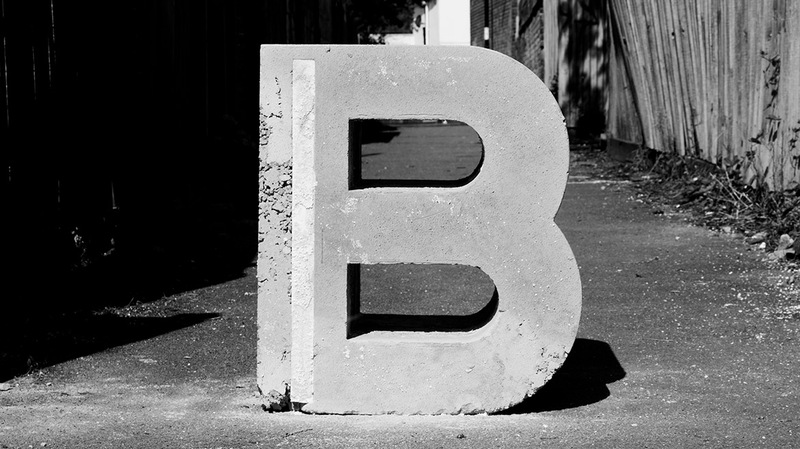 As a free standing sculpture, the B can be experienced through a range of angles and touched as the reader is given a sense of raw Brutalism. 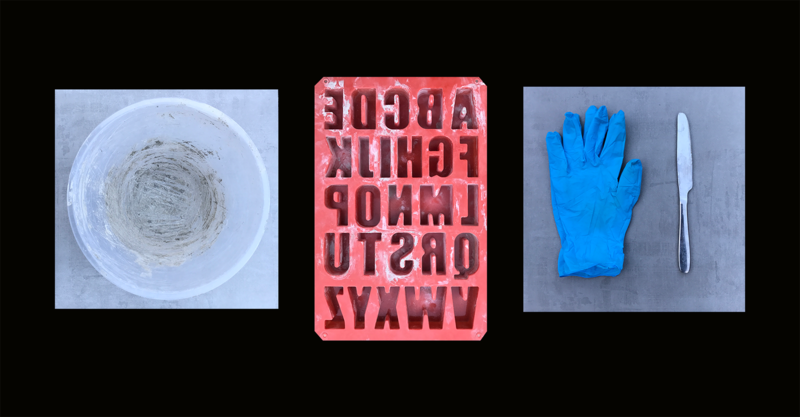 He split the project into two sections: The proposal consisted of a 300 x 300mm concrete tile with my concept silkscreened and miniature concrete type set within a silicone mould. 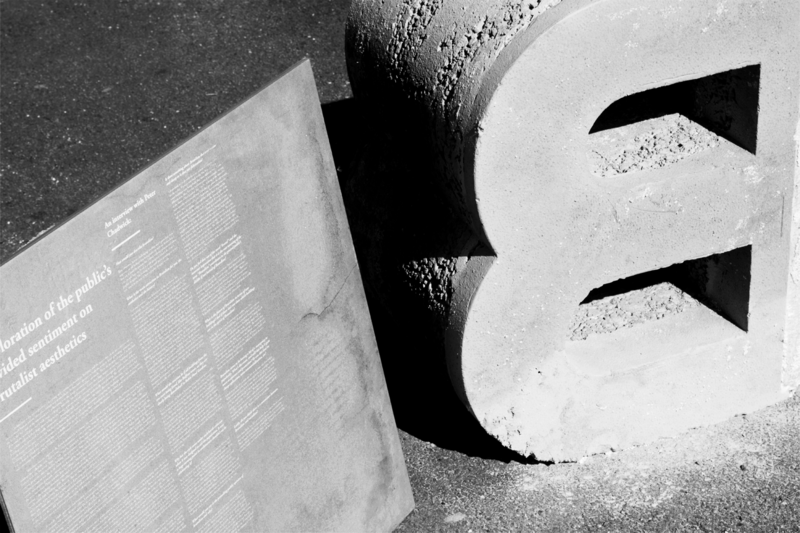 The final 300kg piece was created by manually mixing and pouring into a polystyrene mould. I had planned to incorporate a removable tile within the shape in order to deliver a more interactive experience for my audience. However, this compromised the structural integrity of the piece. Jack is a junior designer from London. Have a look at some more of his work here. @2017 - typegoodness - All Right Reserved. All works are property of their respected owners.